Memorio is an app which allows the user to turn any building into a memory palace. A memory palace is an method of memorization first invented by ancient Greek poet Simonides of Ceos. The technique is described by Joshua Foer in his TED talk and his book Moonwalking with Einstein, where he used it to win the 2006 U.S.A. Memory Championship. To turn a building or rooms into a memory palace, the user needs to have distinctive pictures to function as mnemonic hooks to attach items to be learned. The pictures can already exist, e.g. paintings in an art gallery can be used. The app consists of two parts, an android app utilizing the Qualcomm Vuforia libary, and an associated website. 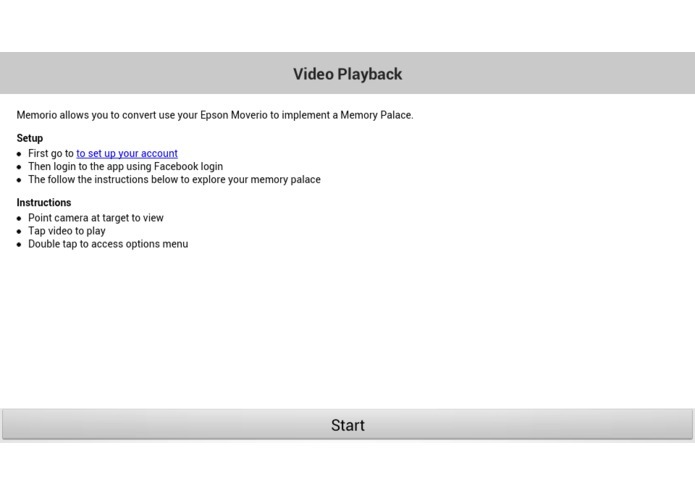 The website is used for setting up the memory palace. The user logs in using Facebook login and uploads pictures and video. 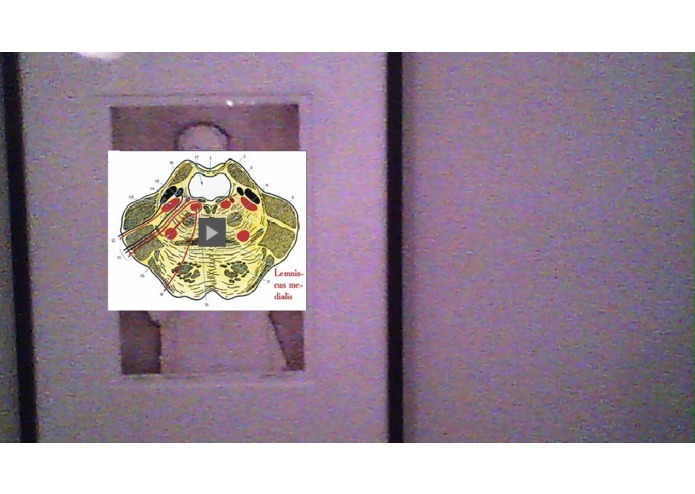 The pictures are image targets (explained later) and the videos are the material to be displayed on the targets. Then when the user launches the app on the Moverio (and logs in using Facebook) the user can see the world using the video camera and the display on the Moverio. 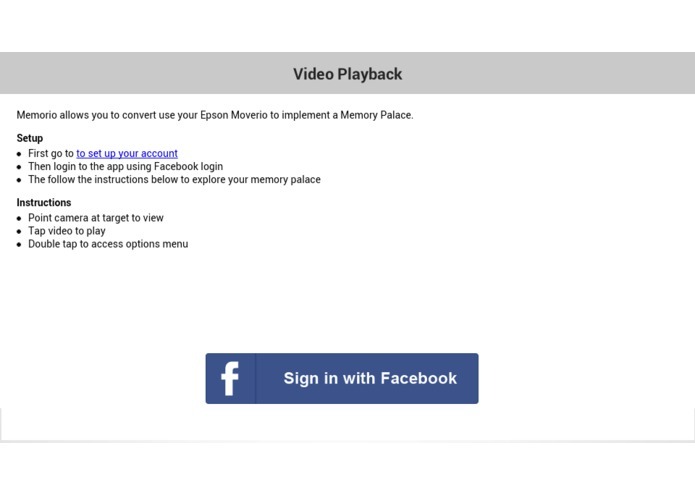 But when the user looks at an image matching the target, they see the video which they have uploaded, associated with the target image, and can play the video on the Moverio. By doing this, the Memorio allows the user to locate information to be memorized around a physical environment, and can turn their personal environment into a memory palace.